In Greek mythology, a phoenix is an extraordinary bird that is born again, rising from the ashes of its predecessor. A video aptly titled, «The Phoenix Rises», played at a ceremony held August 27 in Hangar 1635 to celebrate the rebirth of one of the original F-22 Raptors ever built. 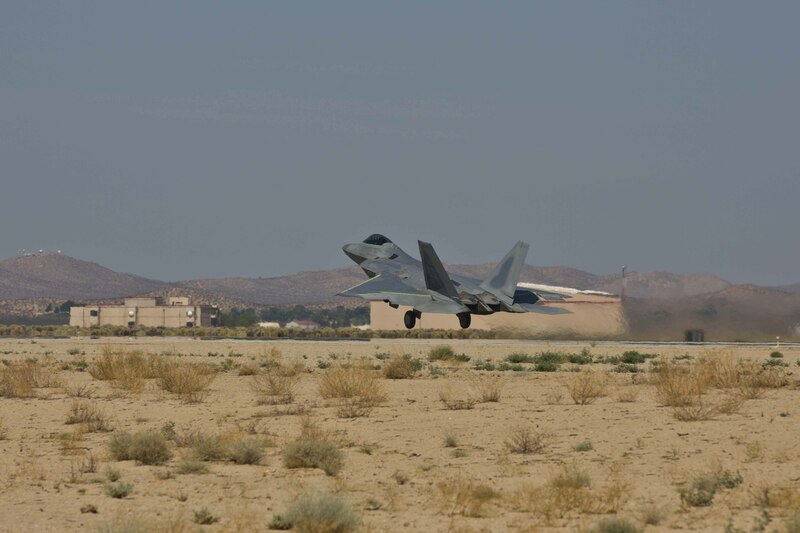 Base leadership joined the 411th Flight Test Squadron and F-22 Combined Test Force, along with Lockheed Martin and Boeing representatives, to welcome back to life Raptor #91-4006, which has been on the ground for almost six years. The fifth-generation fighter was one of the first F-22 Raptors to have avionics installed for testing and has been at the 411th FLTS since it arrived in May 2001. However, in November 2012, Raptor 4006 needed costly upgrades and the decision was made to put it into storage, possibly never to fly again due to the budget sequestration at the time, according to Lieutenant Colonel Lee Bryant, 411th FLTS commander and F-22 CTF director. «This was a gainfully employed airplane when she was working», said Steve Rainey, Lockheed Martin F-22 chief test pilot and member of the F-22 CTF. Rainey also emceed the ceremony. After eventually getting approval and funding from the Air Force to overhaul the Raptor, a «purple» team of Air Force, Lockheed and Boeing personnel worked for 27 months here at Edwards to restore the jet back to flying status. This included 25,000 man-hours and almost 11,000 individual fixes/parts. The completed refurbishment extends the Raptor’s life from 2,000 flight hours to 4,000 FH and gives it newer avionics systems for testing. Rainey was the first military F-22 Raptor pilot while in the Air Force and has worked on the Raptor program almost since its beginning. It was only fitting that the rise of the new phoenix was completed July 17 when Rainey took the newly refurbished Raptor to the sky for its «second first flight». Raptor 4006 is currently the oldest flying F-22. 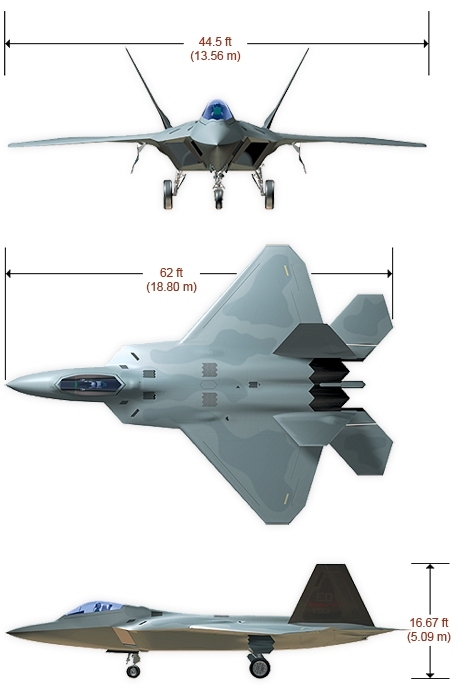 It will now be used as a flight sciences aircraft, which will be an integral part of F-22 fleet modernization. «It increases our test fleet from three to four giving us another flight sciences jet», said Bryant. «This will help us tackle the expanding F-22 modernization program». Brigadier General E. John Teichert, 412th Test Wing commander, said he has flown 4006 numerous times when was assigned to the 411th FLTS as a project pilot and later as a squadron commander. «Our warfighter needs her back flying again», said Teichert. Today, the Air Force has 183 Raptors in its inventory and boasts that the F-22 cannot be matched by any known or projected fighter aircraft. The F-22 Raptor’s combination of stealth, supercruise capability, maneuverability and integrated avionics, coupled with improved supportability, represents an exponential leap in warfighting capabilities from previous generations of fighters. The Raptor performs both air-to-air and air-to-ground missions allowing full realization of operational concepts vital to the 21st century Air Force. 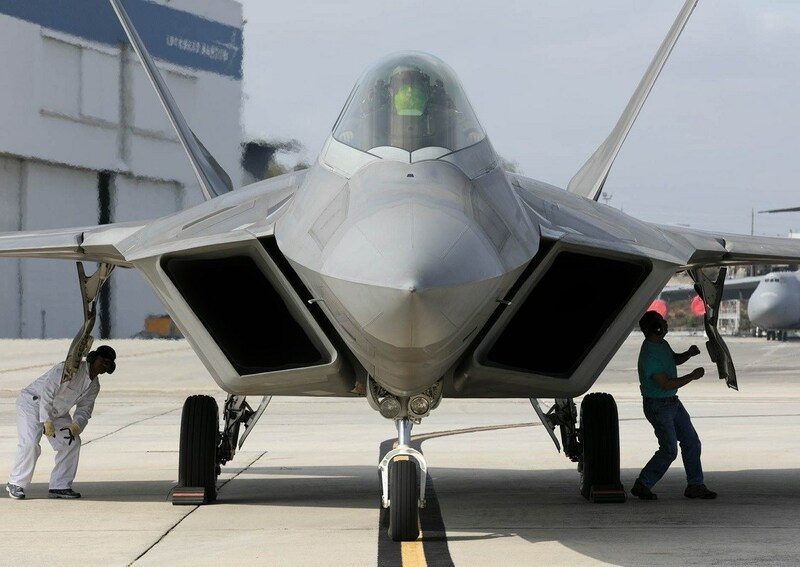 Lockheed Martin Corp. completed the first F-22 Raptor at the company’s Inlet Coating Repair (ICR) Speedline facility and delivered the aircraft back to the U.S. Air Force ahead of schedule. The U.S. Air Force contracted Lockheed Martin to establish the Speedline in Marietta, Georgia, in August 2016 and the first F-22 Raptor arrived there in early November 2016. A second aircraft arrived in early December 2016 and a third in late January 2017. Lockheed Martin is on contract to perform this work on a total of 12 aircraft and a follow-on contract is anticipated. Additionally, Lockheed Martin is providing modification support services, analytical condition inspections, radar cross section turntable support and antenna calibration. Periodic maintenance is required to maintain the special exterior coatings that contribute to the 5th Generation Raptor’s Very Low Observable (VLO) radar cross-section. The increase in F-22 Raptor deployments, including ongoing operational combat missions, has increased the demand for ICR. «The inlet coatings work, coupled with future improved Low Observable materials and repair improvements, is a critical part of increasing the 325th Fighter Wing’s repair capacity and combat readiness», said Lieutenant Colonel Argie Moore, deputy commander of the 325th Maintenance Group. Lockheed Martin provides sustainment services to the F-22 Raptor fleet through a U.S. Air Force-awarded Performance Based Logistics contract and a comprehensive weapons management program called Follow-on Agile Sustainment for the Raptor (FASTeR). 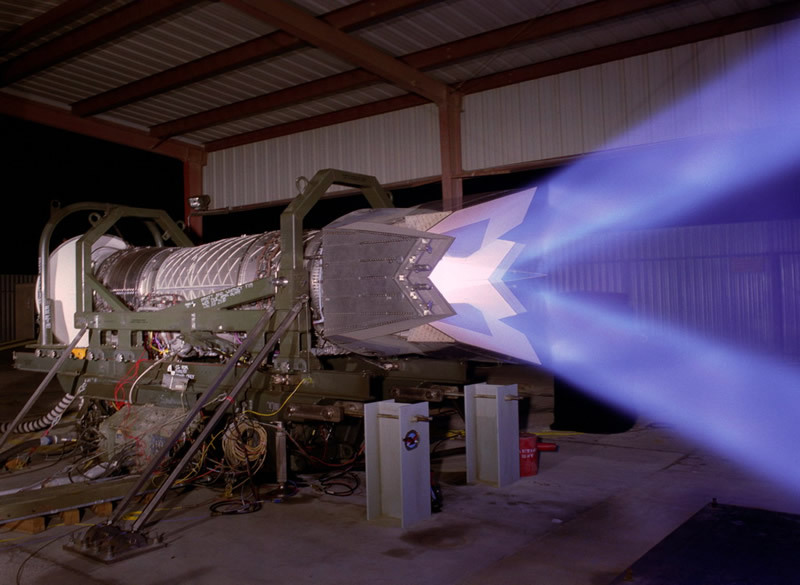 As the original equipment manufacturer and support integrator for the F-22 Raptor, Lockheed Martin works closely with the U.S. Air Force to integrate a total life-cycle systems management process to ensure the Raptor fleet is ready to perform its mission. Lockheed Martin F-22 Raptor depot work is part of a public-private partnership agreement between the Air Force and Lockheed Martin that has been in place for nearly a decade. The F-22 Raptor defines air dominance. The 5th Generation F-22’s unique combination of stealth, speed, agility, and situational awareness, combined with lethal long-range air-to-air and air-to-ground weaponry, makes it the best air dominance fighter in the world. Northrop Grumman Corporation and the U.S. Air Force have achieved the first integration of fifth- and fourth-generation fighter aircraft – a critical capability to prevail in combat – during a Live, Virtual and Constructive (LVC) training event. As part of Distant Frontier training at the Joint Pacific Alaska Range Complex, Northrop Grumman integrated two virtual F-22 Raptor fifth-generation fighters to fly and train alongside four live fourth-generation F-16 Fighting Falcons. The F-16 aircraft were from the Air Force’s 80th Fighter Squadron based at Kunsan Air Base, Korea, operating out of Eielson Air Force Base (AFB). The F-22s were operated by members of the 90th Fighter Squadron from simulators at Joint Base Elmendorf-Richardson in Anchorage. They trained for air-to-air combat against four live F-16s from the 18th Aggressor Squadron based at Eielson Air Force Base. «The 353rd Combat Training Squadron with great support from Northrop Grumman is spearheading efforts to integrate LVC elements into day-to-day training. 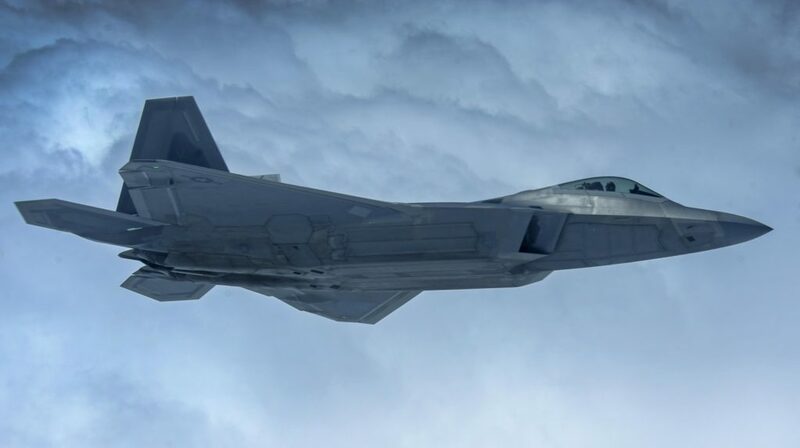 As adversaries continually improve their capabilities, the ability to add LVC is critical to best train and prepare F-22 pilots for dealing with the full complement and degree of threats», said Colonel Brian E. Toth, the 354th Operations Group commander at Eielson Air Force Base. 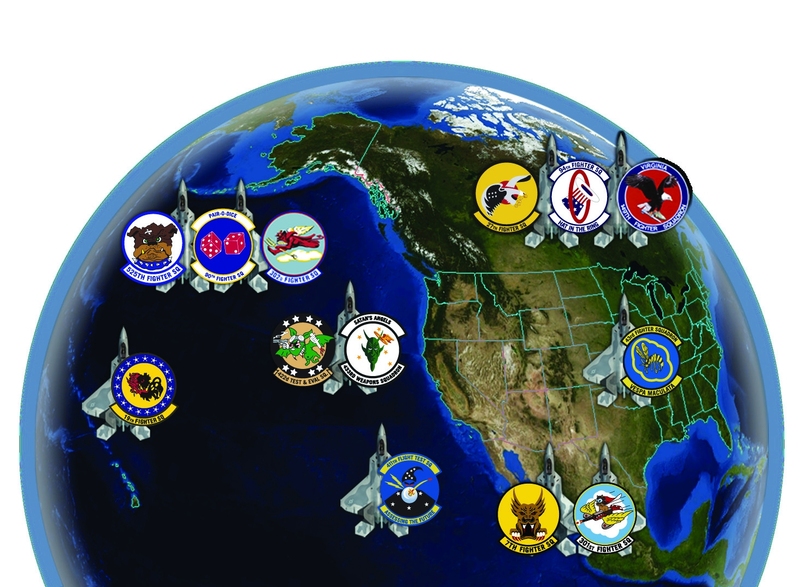 The group’s component units include the 353rd Combat Training Squadron and 18th Aggressor Squadron. «LVC is vital for fifth-generation aircraft. It provides realistic threats and is capable of evolving to meet future training requirements», said Toth. A predecessor to the large-scale, joint Red Flag-Alaska advanced aerial combat training exercise hosted at Eielson Air Force Base, Distant Frontier provides unit-level training for local and deployed units to enhance tactical interoperability. «No aircraft goes to war alone. With our increasingly joint and networked approach, fighter integration training is extremely consequential to effective execution in combat», said Martin J. Amen, director, satellite and network operations, Northrop Grumman Mission Systems. «Although Distant Frontier is a small-scale training event, with this achievement Northrop Grumman has demonstrated that we can provide full-spectrum combat training and truly transform the way pilots train to fight». The live F-16 and virtual F-22 participants were linked by the LEXIOS (LVC Experimentation, Integration and Operations Suite) system developed by Northrop Grumman. Through LEXIOS, virtual aircraft operated by actual aircrew members participate in the same airspace alongside their live counterparts via networked simulators at full security levels. Constructive – simulated forces in a simulated environment – components can also be used to augment the battlespace with a full complement of threats. «The ability to provide combat air forces with LVC training at this level of realism as threat environments become increasingly complex and networking needs escalate is significant, particularly when we can also provide cost savings to the Air Force», said Amen. Northrop Grumman is the prime contractor for the Air Force’s Distributed Mission Operations Network (DMON), a system that enables dissimilar aircraft platforms located across the globe to seamlessly interoperate and train together in a realistic virtual environment. Northrop Grumman has been working on the Combat Air Forces Distributed Mission Training Operations and Integration program since its inception in 1999. LEXIOS builds and integrates elements of the DMON and enables live interaction.